Horror aficionados the world over were devastated during the Memorial Day weekend when True Detective‘s Cary Fukunaga dropped out of a two-part adaptation of Stephen King’s It, citing creative differences after Warner Bros. dialed back the budget. 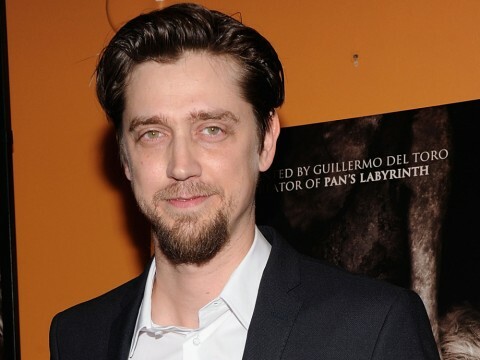 Now, the studio has selected a replacement with a solid horror background – Mama helmer Andy Muschietti – in order to keep the project on track. Sources tell THR that Muschietti is in talks to take the reins and will bring his distinctive vision to the project. As such, a new writer will soon be tapped to tweak the script, letting Muschietti provide his own spin on the 1986 King novel. Will Poulter, who was previously attached to star as evil clown Pennywise, has been released from his deal but could return if his schedule lines up and the new director likes him for the pivotal part. The plan is apparently still to split It into two films, with one following a group of kids who encounter the demonic entity in their hometown and the next picking up with the kids as adults, returning to their old haunts to vanquish the monster once and for all. Dan Lin and Roy Lee will produce with Seth Grahame-Smith, David Katzenberg, Muschietti and his sister Barbara. Muschietti broke big when he directed a 2013 feature-length adaptation of his 2008 Argentine short film. The pic, which starred Jessica Chastain and Nikolaj Coster-Waldau, was a surprise box office hit, grossing nearly $150 million on a $15 million budget, and led to him lining up a slew of other projects, including fantasy Shadow of the Colossus and Universal’s Mummy redo (he was replaced on the latter by producer Alex Kurtzman). New Line is still prioritizing the project, but there’s no set start date yet. Fukunaga’s exit came right before shooting was due to get under way in June, and though producers immediately hit the trail to find a replacement, they’ll now have to give Muschietti and a writer time to approach It from a new angle.